Yuck! You’re disgusting! Your parents say so, your friends say so – and even the Horrible Science boffins are rushing to agree. But why? 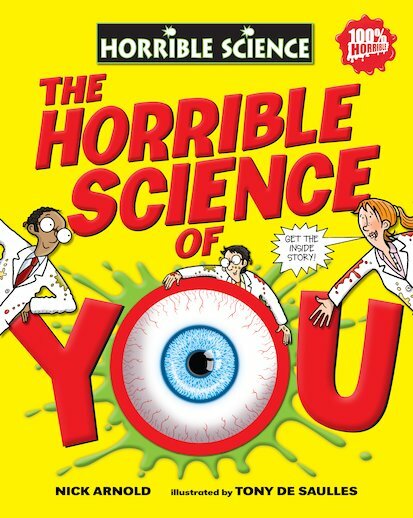 Find out in this hilarious guide to your body’s squishy, smelly, rude and revolting bits! When you take a close look at the human body – YOUR body! – it becomes clear that it’s a very horrible place. Covered in crawling bacteria, prone to disgusting diseases, and complete with embarrassing pongs, sweaty bits, bogies, bottom-burps and many more unmentionable things! So if you’re feeling very brave, shrink down to miniature size and prepare for a cartoon-packed, joke-packed, ultra-horrible voyage INSIDE YOU! i want to read it. by that way i read many of its books causes i think it is perfect. This is a great book if you like science. I think this book is great.